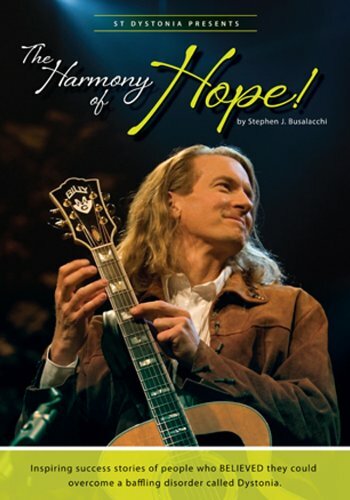 The Harmony of Hope by Stephen J. Busalacchi is an oral history which delves into a mysterious condition known as dystonia. These uplifting stories from patients give hope to others who dare to defeat its worst effects. The Harmony of Hope is Steve's most recent oral history, which explores the fighting spirit of those afflicted with the movement disorder, dystonia. Buy it from the ST Dystonia Association by clicking the cover.